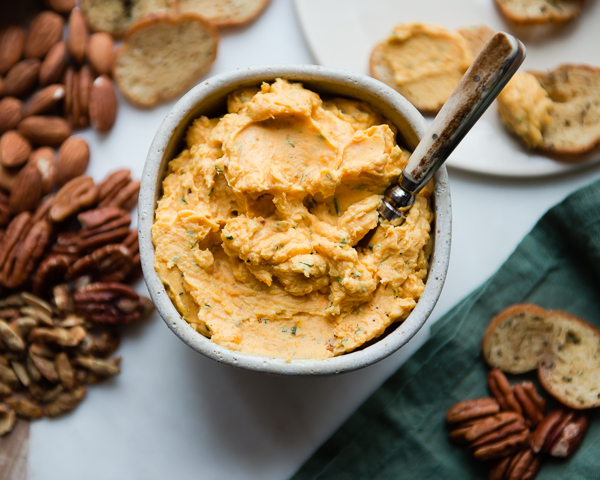 This recipe was developed in partnership with Red Star Yeast who is sponsoring this post. Thank you for supporting our sponsors so we can bring you high-quality content. 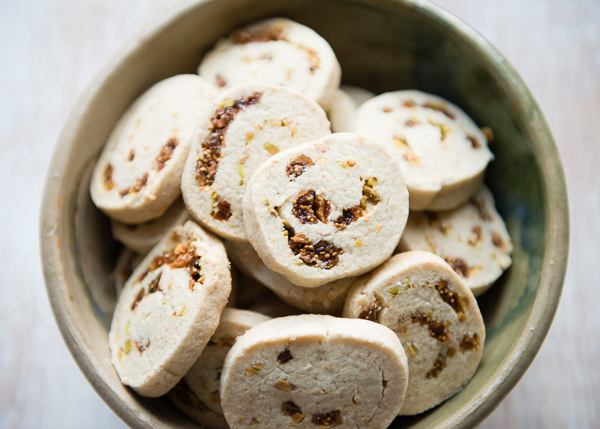 Last fall I first started experimenting with making yeasted gluten free rolls at home. 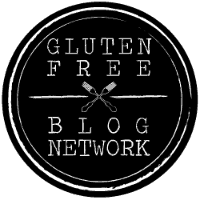 I have really loved delving into gluten free baking and the experimentation process. It has yielded some great results after many attempts to get it just right. It’s difficult to get the texture just right because there are so many more factors with gluten free yeast bread vs. wheat bread. 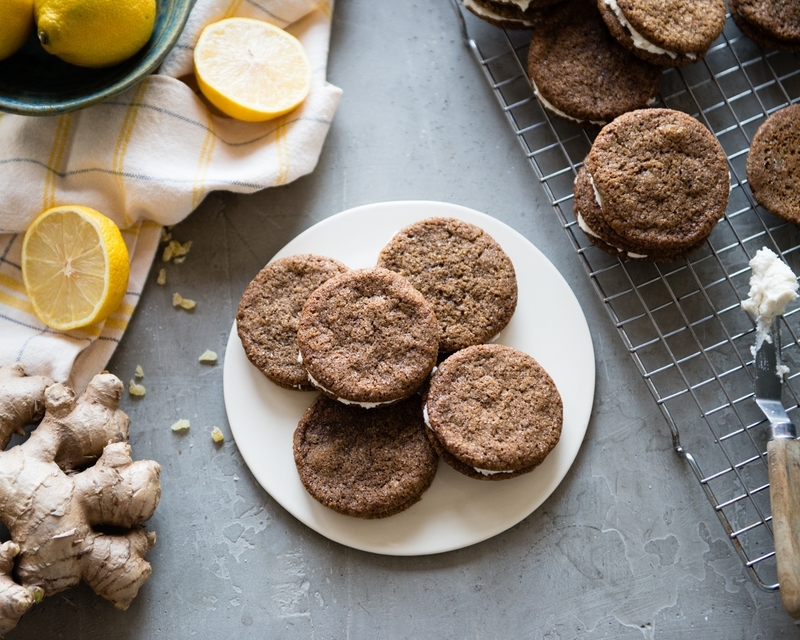 There are different flours and starches to blend, not to mention the xanthan gum, and getting the dough itself just right – not too sticky or dry. And then how long does it bake? What temperature? 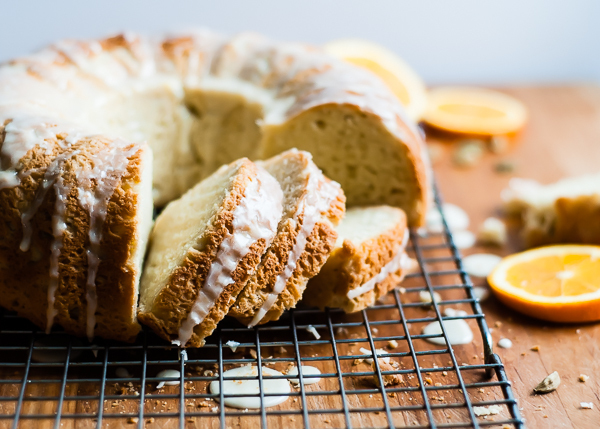 This orange cardamom gluten free yeast raised cake is something I’m really proud to share with you. I’ve been working on it for a few weeks! I am really pleased with the way it turned out. 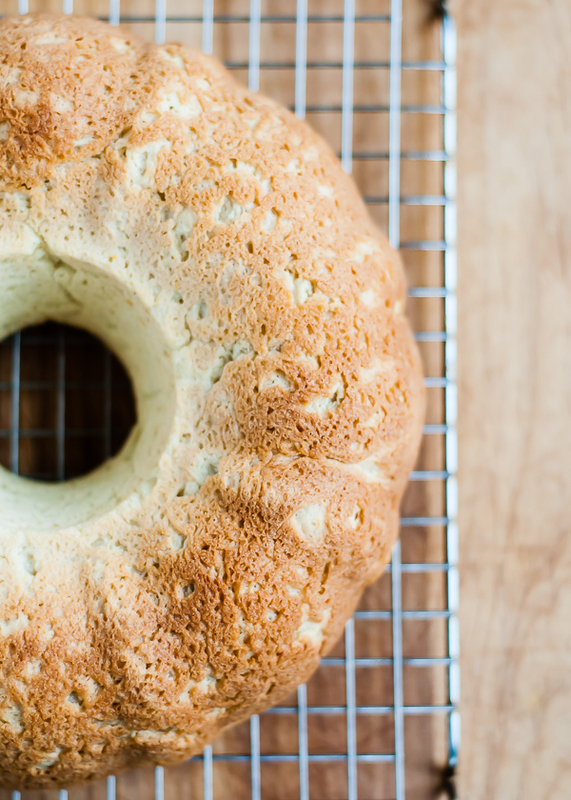 This recipe is kind of a cross between bread and cake. Think of it like a gluten free kugelhopf, which I suppose is closer to what it is, minus the rum-soaked raisins. I’m calling it a gluten free yeast raised cake because that’s what the texture is like. It’s dense and really moist with a tight crumb – not gummy. It’s prefect. The dough is made with a great blend of gluten free flours and starches, and enriched with eggs, (vegan) butter, and coconut milk. Of course if you aren’t dairy-free, you can use dairy milk and butter with about the same results. The yeast helps give it that nice texture I was seeking, and orange zest and cardamom give it a lot of flavor. 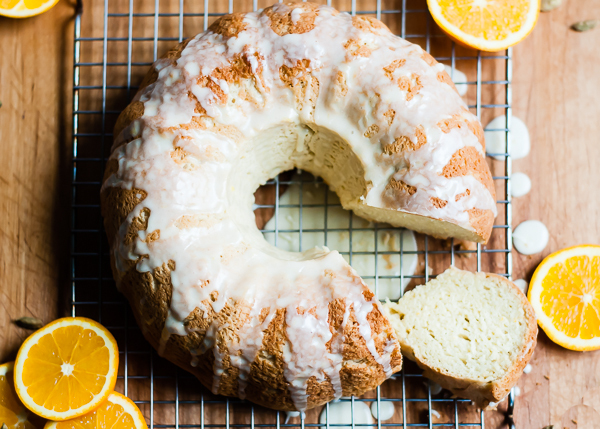 The dough itself is not very sweet, but it’s drizzled with a nice orange glaze that is sweet. If you prefer a sweeter dough, just add more sugar. I opt for a similar process I used when making wheat rolls and bread. I heat the milk, butter, sugar, and salt together and add to beaten eggs. They liquid is cooled down when they are mixed with the cold eggs. It ends up being the perfect temperature to mix in with the dissolved and activates yeast. The flour is placed in the mixer and the warm liquid ingredients are added in a slow stream. I like this method a lot because it’s easy and I think everything gets mixed in better. I’ve included a gluten-free flour blend in the recipe notes. Feel free to use your own favorite blend. Just remember that every blend is a little different, so the texture and appearance might differ from what I show in the pictures. This is a really nice, not crumbly bread. It’s not dry. It really holds together. I imagine it would be made into a loaf and sliced for sandwiches. That’s what I’m going to try next time I made it just to see. In a small saucepan, heat the milk, butter, sugar, and salt. Stir until sugar is dissolved and do not let it boil. It should just be pretty hot. 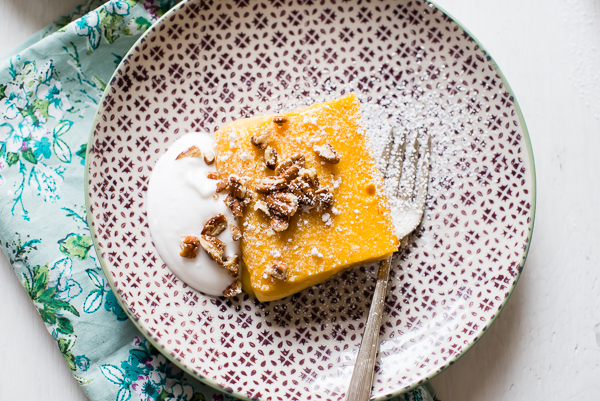 In a medium bowl, whisk eggs together with vanilla and orange zest. Carefully add the milk mixture in a slow, steady stream to the eggs and whisk well. Be sure to add the milk slowly so it doesn't curdle the eggs. Let stand until still warm, but not hot. Turn the mixer on low and add the milk and egg mixture in a slow steady stream. Let mix, raising the speed to medium, until smooth. Add the yeast mixture. Lower the speed and add about 2 - 2¼ cups more of the gluten-free flour blend. The dough should be fairly sticky and smooth, but not too stiff. 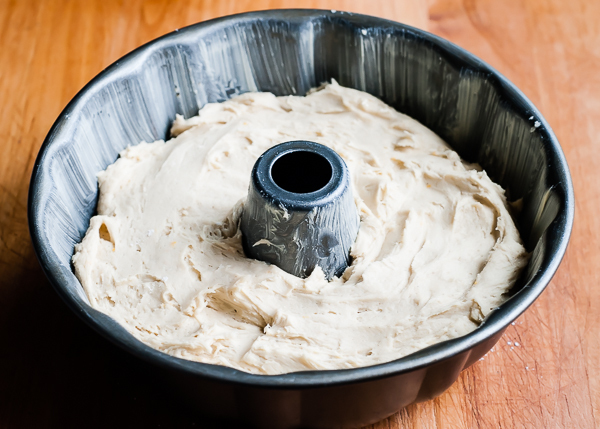 Turn off mixer and let dough stand for a few minutes. 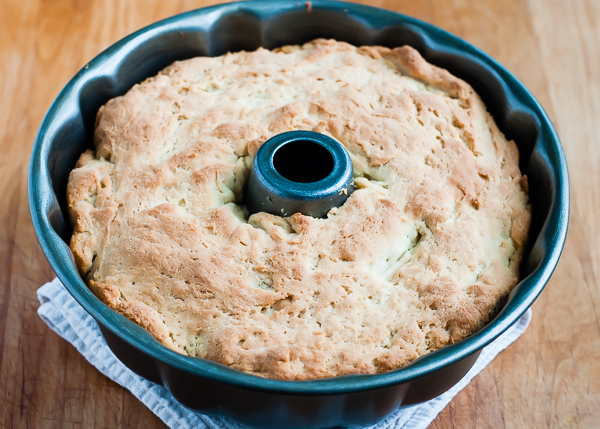 Grease a bundt pan. 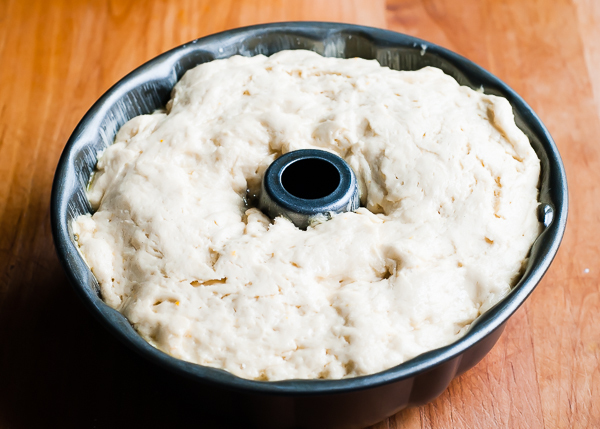 Transfer the dough to the pan and smooth it evenly. Brush the top with the melted butter or oil. Cover with plastic wrap and let rise for 45-60 minutes in a warm place. The dough won't have doubled, but it will have risen quite a bit. 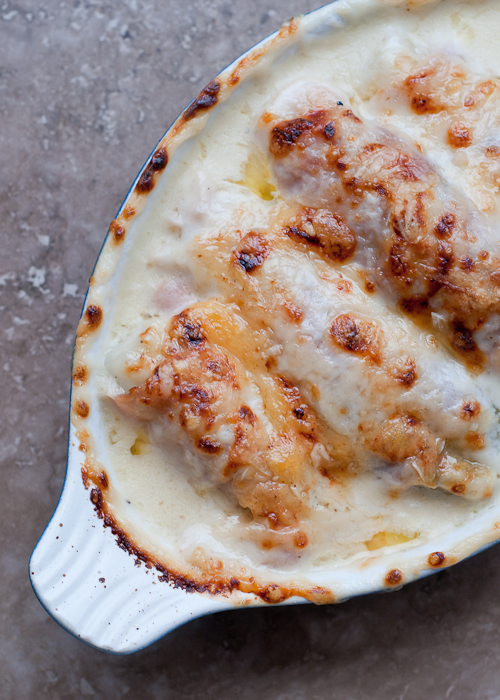 Preheat oven to 400 degrees F. Bake for 40-45 minutes, or until golden and baked through. -The cake is the very best the day it's made. Wrap the leftovers well to prevent them from drying out. You can also cut into slices and freeze them individually. -The cake is not very sweet. 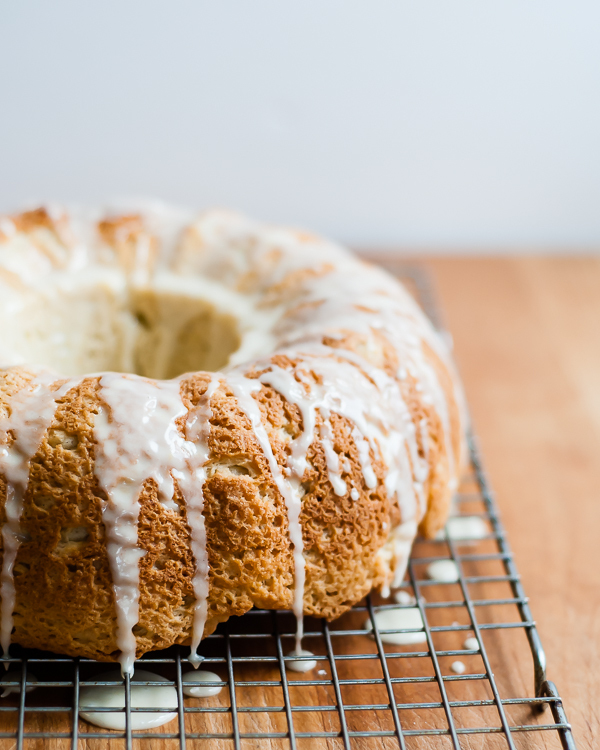 If you prefer a sweeter cake, add more sugar or make extra glaze. The dough comes together very easily. The trick it to not add too little or too much flour. Adding too little is preferable to adding too much. 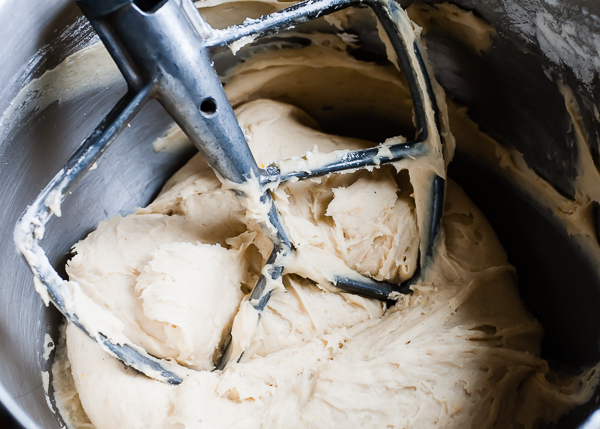 Because the dough isn’t formed into rolls, it is more like a thick batter. It will be a little bit sticky. Be sure to smooth the batter down as best as you can. A well-greased pan is essential. 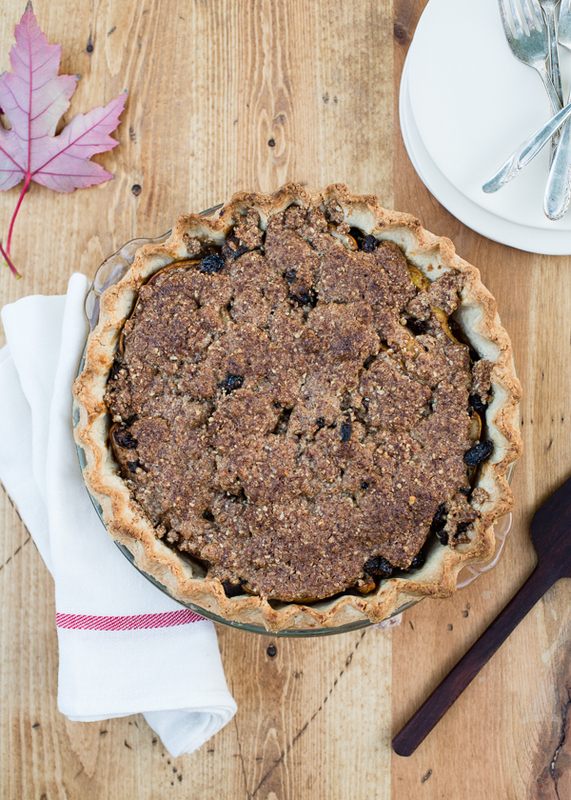 Also be sure to brush the top with melted butter or oil to keep it from drying out as it rises. It will rise better too. This is what it looks like after it’s been rising. You will also be able to hear it popping and fizzling. That means the yeast has done its job and helped lift the heavy batter. The dough does sink down a bit as it bakes. That’s totally okay. Let it sit for a few minutes in the pan to cool. It doesn’t have to cool completely. Let it cool before drizzling with the glaze. You can make the glaze as thin or thick as you want. My husband and kids really like a lot of glaze and I prefer a small amount. If you like a lot, you can even double the recipe and drizzle the extra on individual pieces. 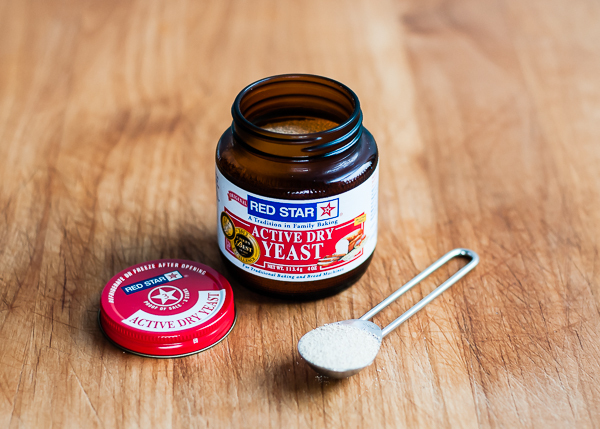 Disclosure: This post is sponsored by Red Star Yeast. I have been compensated for my time and recipe development. I only recommend products I use and love in my own kitchen. All opinions expressed are 100% my own. 1. I need to use my bundt pan more! 2. I always forget about cardamom. I have some pods I need to use and soon. This cake looks so pillowy and delicious, and the photos are exquisite. 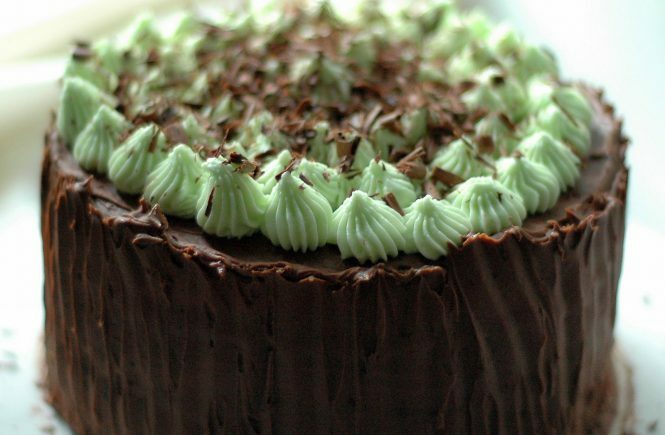 I would like to dip my finger into those icing drips. Orange cardamom is one of my flavor combinations. So excited for all of your yeasted GF bread recipes! Hello! 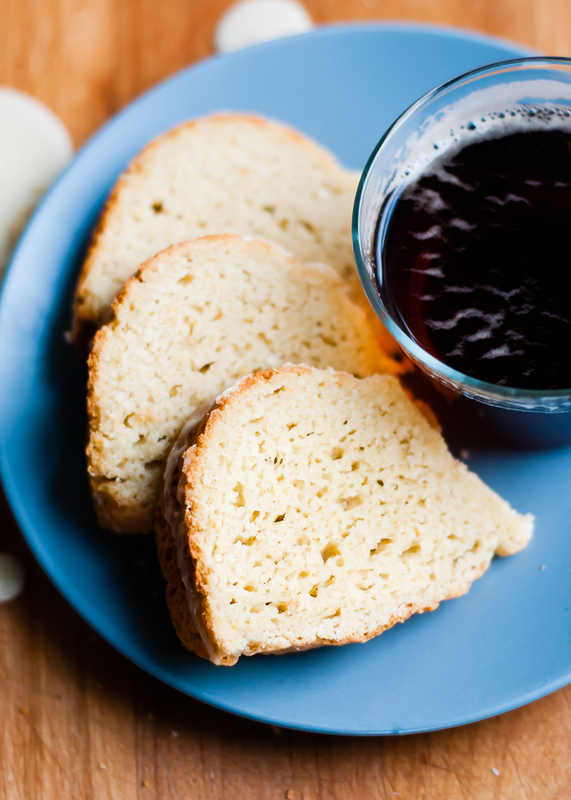 I ran across this recipe after becoming severely intrigued with the thought of yeast cakes. Hopefully my interpretation of your recipe turns out well. I’m not GF, so I used all purpose flour. Also, the recipe does not state when to add the foamed yeast into either mixture? I guessed and put it into the flour before adding the egg mixture. It didn’t look 100% correct, but the yeast is definitely still working!! Either way, the kitchen smells great! Thank you! 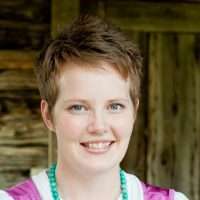 Hi Tamra! You were correct to add it before starting to add the flour. Sorry for the omission! I fixed it in the recipe directions. 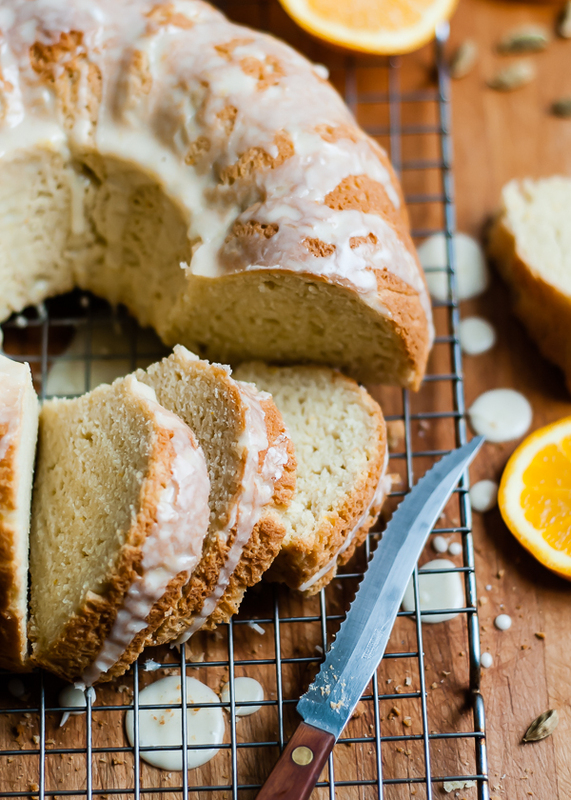 Do you think this recipe could be used to make a traditional Norwegian braided bread vs bundt cake? Please do let me know how it went!